Today is Pokémon Day, the 22nd anniversary of the Japanese release of Pokémon Red and Green. The Pokémon Company's got a bunch of treats lined up for fans, from a new Snapchat filter to a special Pikachu showing up in Pokémon GO. My favourite? 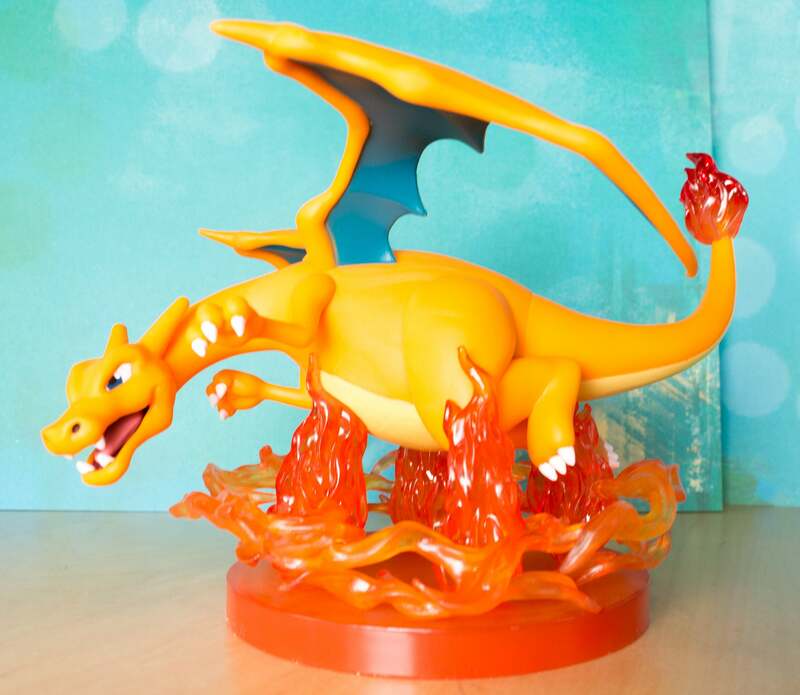 This giant-sized Charizard Pokémon Gallery figure. 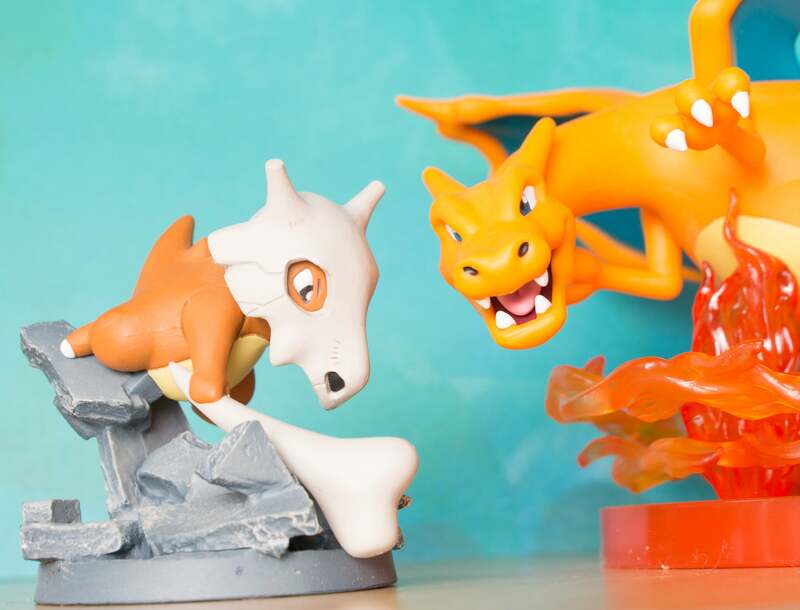 February 27 marks the first anniversary of the introduction of Pokémon Gallery figures, a series of collectible figures featuring popular pocket monsters in the middle of performing their signature moves. Up until now, the line's been pretty tiny, maybe three or four inches tall. 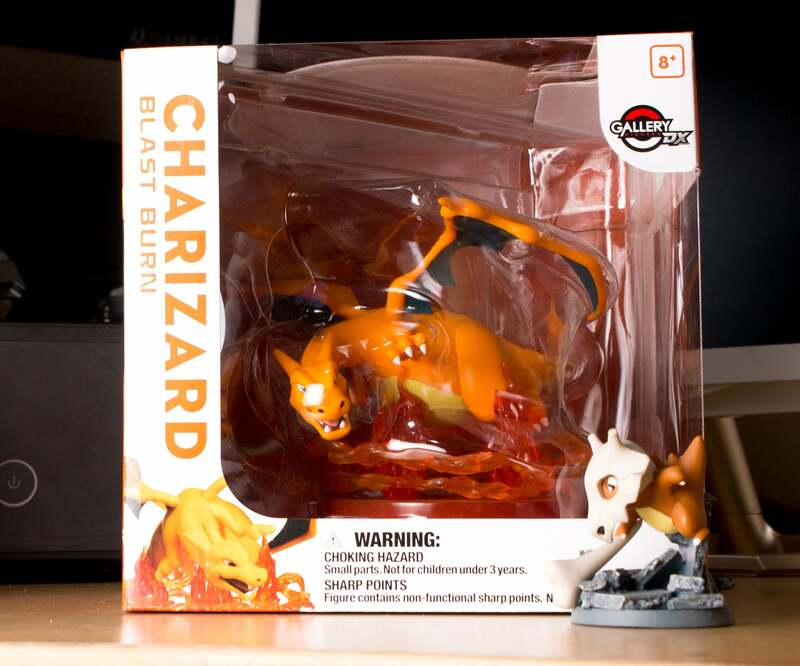 Caught in mid Blast Burn, Charizard is about five inches tall or so, and much wider than that. 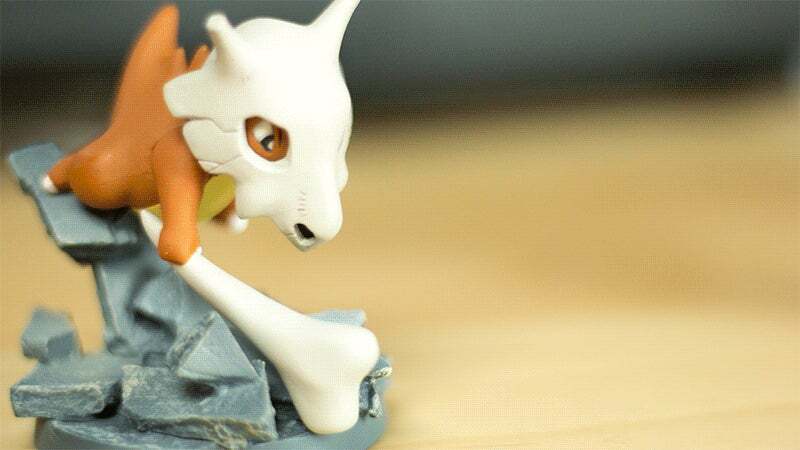 He's the first of a series of Gallery DX figures, bringing the dynamic poses and cool special effects of the regular-sized line to much larger Pokémon. 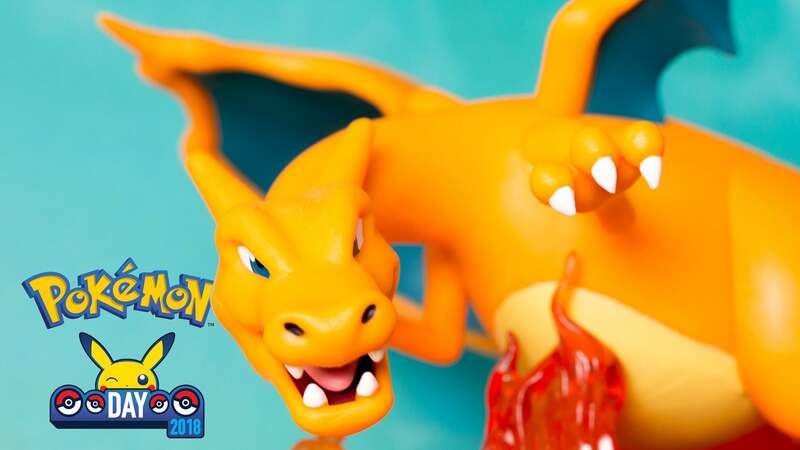 Charizard will be available for purchase soon at the official Pokémon Center online store, along with the first two in a series of collectible Legendary Pokémon pins. 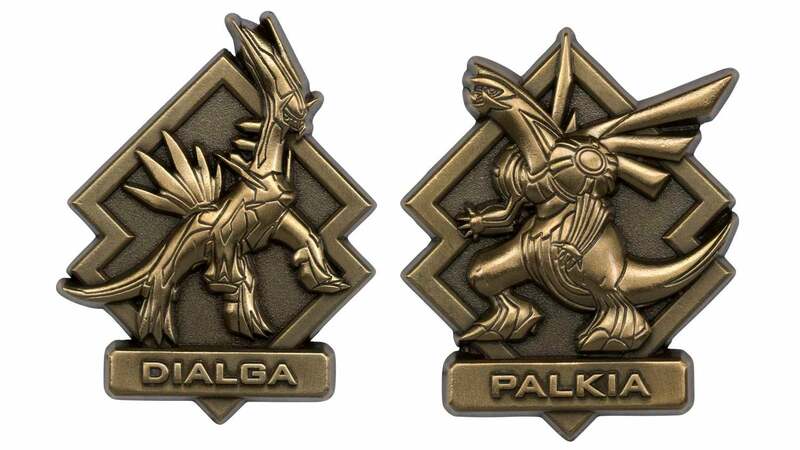 Dialga and Palkia will be followed by a new pair of legendaries each month through November. OK, brace yourselves for this next bit. Another part of this year's Pokémon Day celebration is already available to Snapchat users. Remember last year's Pikachu filter? 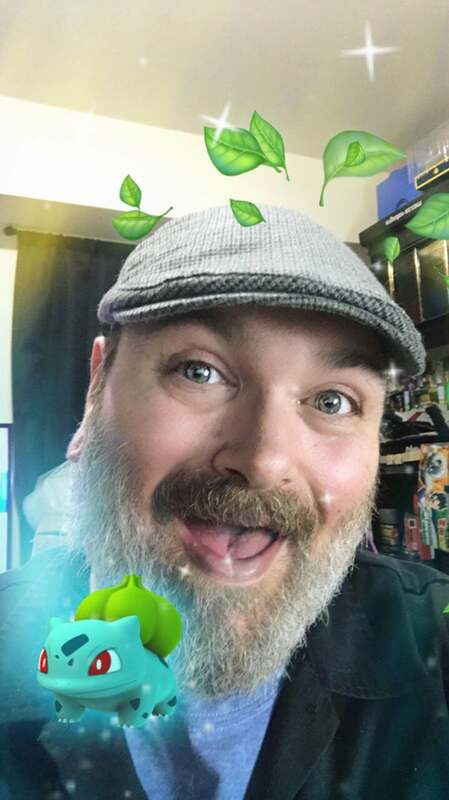 Now we've got Bulbasaur sprouting leaves over my head, adding anime circle outlines to my eyes and obscuring my scruffy beard with its body. It's a dirty job, but someone has to do it. And he won't be doing it alone, at least not for long - Squirtle and Charmander are coming soon. If you own an Alexa or Google Home device, you'll soon be able to talk with Pikachu. Already available in Japan, Pikachu Talk allows fans to converse with the popular electric mouse, who'll respond with such thrilling phrases as "Pika!" or "Chuuuuu." Let's see, what else is happening? 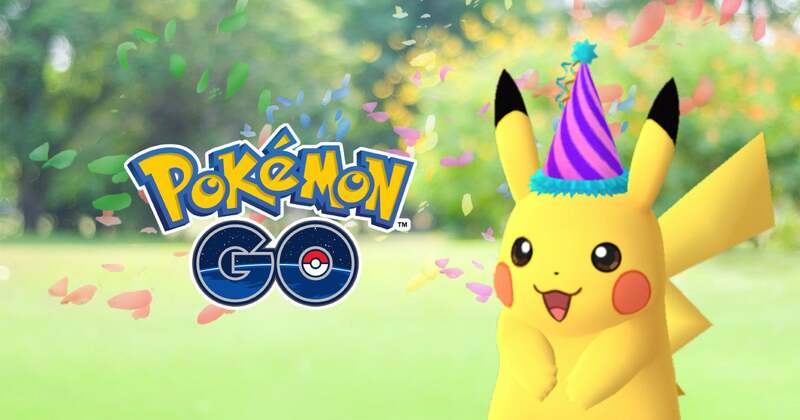 Oh yeah, Pokémon GO is putting hats on Pikachu again. It's the game's go-to celebratory manoeuvre. These special Pikachu come with the "Present" ability and are worth three times the normal amount of Stardust. And finally, the movie that made fans lose their minds is making a special appearance. For the first time ever, Pokémon the Movie: I Choose You! will be available to watch on the Pokémon TV app and website. It will only be available for a week, so schedule your viewing accordingly. And that's what's happening on Pokémon Day. It's no 20th anniversary celebration with its monthly parade of plushies - but not a bad collection of things to do and stuff to buy. For some reason Charizard looks like the 11th doctor to me.